The shooter, identified as Nasim Aghdam, died of an apparent self-inflicted gunshot wound after injuring several others on the YouTube campus in San Bruno, California. 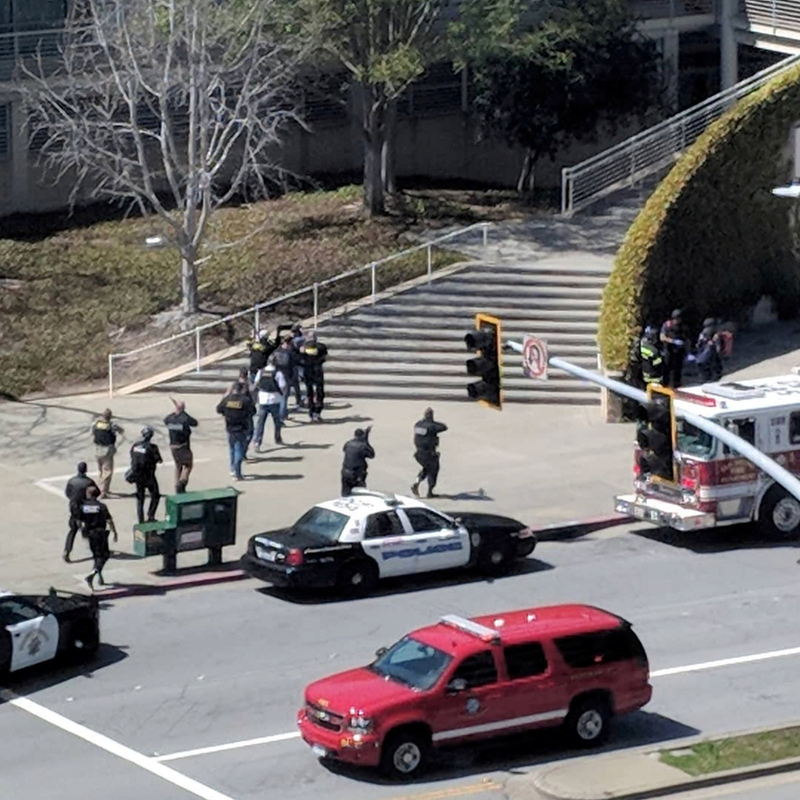 Police responded to an active shooter situation at YouTube's headquarters in San Bruno, California, on Tuesday. Within minutes of the initial reports, before any official information emerged, hoaxes and fake news started being shared on social media. At least three people were injured and police later identified the suspect as Nasim Najafi Aghdam, 39, who died from what appeared to be a self-inflicted gunshot wound. So far, very little is known about Aghdam. On her personal website and social media accounts, she frequently posted about animals rights and veganism, and alleged that Google and YouTube were discriminating against her. Authorities did not speculate about a possible motive, but that didn't stop the internet from unleashing a flurry of fake news. 1. Many Twitter accounts started sharing photos of Sam Hyde, falsely accusing him of being the shooter. Hyde is a comedian who is blamed by online trolls after almost every shooting. 2. This photoshopped image claimed to be security camera footage showing the shooter. But it was just another Sam Hyde hoax. 3. On 4chan, some users encouraged others to "start memeing Sam Hyde" to get the hoax on TV. 4. Another 4Chan user claimed this was a photo of the shooter, but it's actually a YouTube food reviewer whose image has been used in a previous hoax. 5. People also falsely identified other internet personalities as the shooter, including German YouTuber DragonLord. 6. This is Dugan Ashley, another YouTuber falsely identified on Twitter as the shooter. 7. YouTuber Matt Jarbo shared screengrabs of tweets falsely identifying him as the shooter. 9. Nope, this is Canadian right-wing activist Lauren Southern. 10. There was no second shooter. Some local media outlets initially reported that police were looking for two shooters, based on police radio chatter. These transmissions are a raw, unfiltered stream of information during the chaotic first stages of an investigation, and are not a trustworthy source. Some commentators have seized on those early reports, and subsequent corrections, as evidence of mainstream media hiding the truth. However, it's very common for claims of a second suspect in active shooter situations, and it almost always turns out to be wrong. 11. 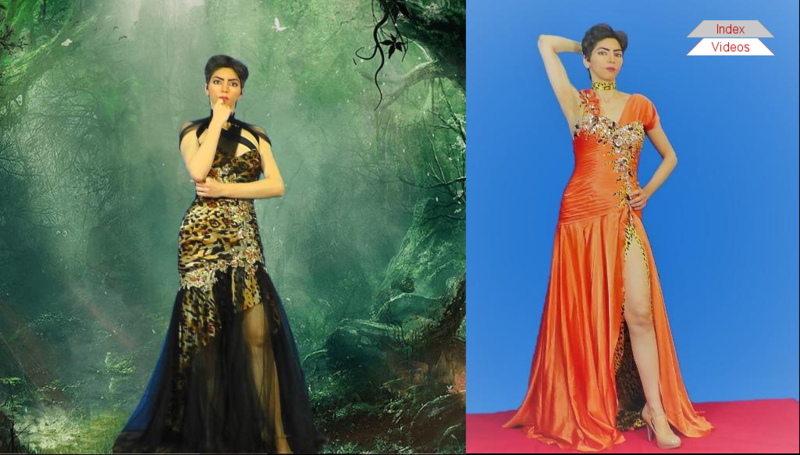 Viral tweets alleged that media outlets were whitening Aghdam's skin and changing her eye color, but the photos came from her personal social media accounts, according to a Mashable editor. 12. Lucian B. Wintrich, a writer for the right-wing Gateway Pundit blog, appeared to suggest the shooter was a Muslim woman based on a local ABC station's report that the suspect was a woman wearing a "headscarf." There have been no official images or descriptions of what Aghdam was wearing at the time, and her religious beliefs are still unknown. 13. The anti-Muslim website Jihad Watch also used the "headscarf" claim to speculate about a possible "jihad attack." Again, there's no official confirmation of Aghdam's clothing during the attack or of her religious affiliation. 14. Prominent pro-Trump media figures continued to speculate that she was Muslim or motivated by religion, despite no credible information to that effect. 15. Maram Susli, a frequent InfoWars contributor better known as PartisanGirl, claimed she was Jewish, which has also not been established. 16. Conspiracy videos claiming the shooting was "staged" have already shown up on Facebook. 17. Videos claiming the shooting was staged or a "false flag" event have also been uploaded to YouTube itself.